Pryce Quintina entered federal court in Boston, where he pleaded guilty to an extortion charge. They are both in their 70s. One walks with a limp, while the other needed a court-issued hearing aid to follow the proceedings. Neither quite managed to demonstrate the physical force that marked their heyday as reputed soldiers in the New England Mafia. But prosecutors said that Antonio L. “Spucky” Spagnolo and Pryce Quintana, alleged “made men” in the Mafia, still were to be feared. On Monday, Spagnolo, 73 — the reputed acting boss of the New England Mafia — and Quintana, 75, pleaded guilty to conspiracy to affect commerce by extortion for threatening the owner of the Revere Moose Lodge and another businessman. Quintana, who walks with a limp, will serve 18 months in prison, and Spagnolo will serve 24 months under an agreement with prosecutors that must be approved by US District Judge Patti B. Saris. A sentencing hearing is slated for March 24. According to prosecutors, a local video poker machine company, Constitution Vending Co., had been setting up illegal poker machines in local bars and restaurants and splitting the profits with the bar owners for more than a decade. In that time, the company had been paying Quintana and Spagnolo protection payments known as rent payments, in exchange for their help in preventing other businesses from setting up their own machines in the area. The two men had received more than $50,000 in such payments from 2004 to 2012. Last week’s arrest of Spucky Spagnolo made it official: The Mafia around here sleeps with the fishes. When the Revere Moose Lodge considered installing poker machines operated by another company, Spagnolo and Quintana intervened and allegedly threatened those involved. Assistant US Attorney Timothy Moran said during a hearing Monday that the two men made “implied” threats. When pressed by Saris to describe what threat the aging men could present, Moran said that they implied the threat of economic harm – rather than physical harm. Under questioning from Saris, the two men acknowledged their intent. Quintana said that their threat was to “interfere with them putting the machines in.” He did not say how he would interfere. “The implied threat was that they couldn’t put their machines in there,” Spagnolo said, denying any physical threat. The scene was a stark contrast from their days representing the old guard of the Patriarca crime family, when Gennaro Angiulo was in charge of the Mafia’s Boston operations from the 1960s to the early 1980s. Spagnolo was a reputed drug dealer, then a capo in the family. Quintina had a lower rank, but his uncle Charles “Q-Ball” Quintina was also a capo. Both men were allegedly at the infamous October 1989 Mafia induction meeting in Medford that was secretly recorded by the FBI. In the years since, the New England Mafia’s power and organizational structure had deteriorated, becoming a skeleton of what it once was, with law enforcement repeatedly targeting those who assume leadership positions. Former boss Anthony L. DiNunzio was sentenced in 2012 to 78 months in federal prison for racketeering. He is the brother of Carmen “The Big Cheese” DiNunzio, who served a state sentence for bribery. 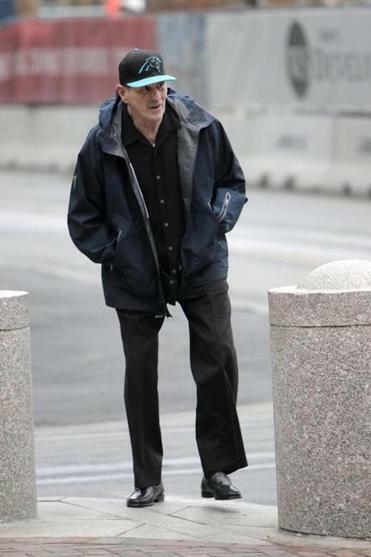 And Luigi Manocchio, Anthony DiNunzio’s 88-year-old predecessor, was released from federal prison last month after serving five years for extorting protection payments from strip clubs. 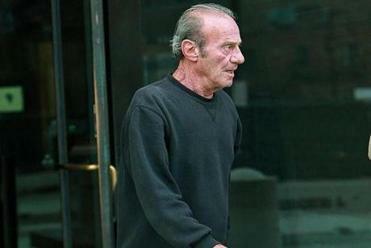 Spagnolo served a nine-year prison sentence in the 1990s for racketeering and drug dealing. Quintana served more than seven years for racketeering. Both men have denied any association with the Mafia. And they repeated that claim on Monday. They were not required to acknowledge their reputed membership. “The defendants do not admit that they are part of any organization,” Joshua Hanye, Spagnolo’s lawyer, said during the court hearing.